With a myriad of wireless sensors available, it can become confusing to determine which one is best for you. 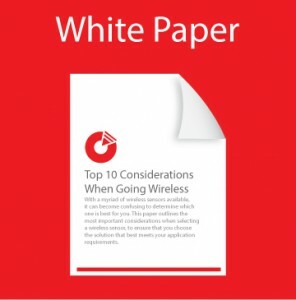 This paper outlines the most important considerations when selecting a wireless sensor, to ensure that you choose the solution that best meets your application requirements. Please provide us with a bit of information about yourself, and we will email the white paper to the address provided.